A series of strange events occurred high up in the flightlevels above Southern Arizona on February 24th, 2018. Between roughly 3:30pm and 4:15pm local time, N71PG, a Learjet 36 belonging to Phoenix Air, and American Airlines Flight 1095, an Airbus A321, had independent close encounters with a strange craft flying at around 40,000 feet. The planes were flying east at about 37,000 feet between the Sonoran Desert National Monument and the New Mexico border when the incident took place. A minute later American 1095 calls back in saying “yeah something just passed over us, like a–I don’t know what it was, but it was at least two-three thousand feet above us. 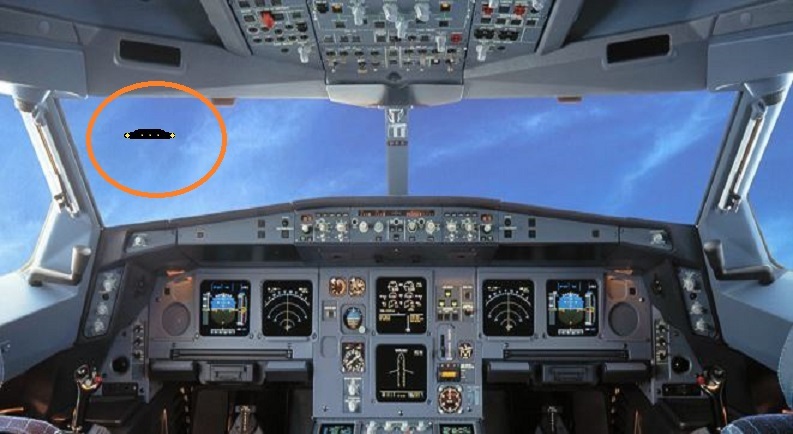 Yeah it passed right over the top of us.” The controller calmly acknowledges the pilot’s report and says nothing else. The whole event, at least as we understand it at this point in time, lasted about six minutes. According to an FAA representative who was incredibly helpful and forthcoming during our preliminary investigation, he didn’t think the incident was written up and noted that the supervisor at Albuquerque Center didn’t even know about it when queried. That does seem somewhat odd considering some sort of unidentified craft was flying along highly trafficked air routes at jet altitudes that didn’t have a transponder, did not appear on radar, and was not communicating with air traffic control. NOTE: The above image is CGI.